Tampa, Florida (December 12, 2017) – Modelithics is pleased to share the news and congratulate Dr. Thomas Weller, the company's co-founder, on being named IEEE Fellow by the Institute of Electrical and Electronics Engineers. This high designation is given by the IEEE Board of Directors to persons having a history of significant accomplishments in the fields of electrical engineering. Dr. Weller has been recognized for his extensive contributions in the area of advanced RF and microwave modeling techniques for surface mount and passive IC electronic components. 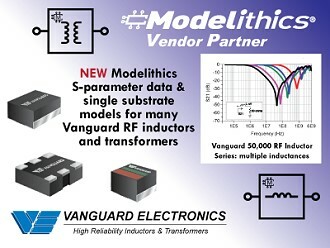 The research done by Dr. Weller and Dr. Larry Dunleavy, Modelithics co-founder and CEO, resulted in an advanced scalable microwave simulation model technology, termed "Modelithics Microwave Global Models™" along with state-of-the art transistor and diode and behavioral modeling methods that became the basis for what is now the Modelithics COMPLETE Library™. 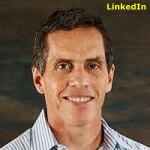 Dr. Weller is currently a professor and chair of the Electrical Engineering Department at the University of South Florida, and is still involved with Modelithics as Chair of the Board of Directors. For more information on IEEE and membership, visit the website at www.IEEE.org. For details about Modelithics and Microwave Global Models, please visit the company website, www.Modelithics.com. To request a trial of the models, visit the trial request page or email sales@modelithics.com.